Attorney General William P. Barr’s written decision, a policy reversal, applies to migrants who have already established “a credible fear of persecution or torture” in their home countries. “Unless stopped, this decision will result in the unlawful jailing of thousands of people who should not be behind bars,” Omar Jadwat, director of the American Civil Liberties Union’s Immigrants’ Rights Project, said in a tweet. Barr said the order wouldn’t go into effect for 90 days, a three-month time frame that will probably see immigrant rights groups challenge the ruling in court. Barr’s ruling reversed the decision in a 2005 case in which an Indian man entered the United States from Mexico and requested asylum. Parole by the Department of Homeland Security will be the only way asylum seekers who crossed the border illegally can be released once the order goes into effect. It is not clear how DHS would carry this out. U.S. Immigration and Customs Enforcement is detaining 45,000 to 50,000 people a day, but it is not authorized to detain children for longer than 20 days. Of the more than 100,000 apprehensions last month, 60% were families or unaccompanied minors who currently cannot be held indefinitely. Barr’s decision to withhold bail from asylum seekers comes as record numbers of Central American families, many fleeing violence and poverty, are crossing into the United States. 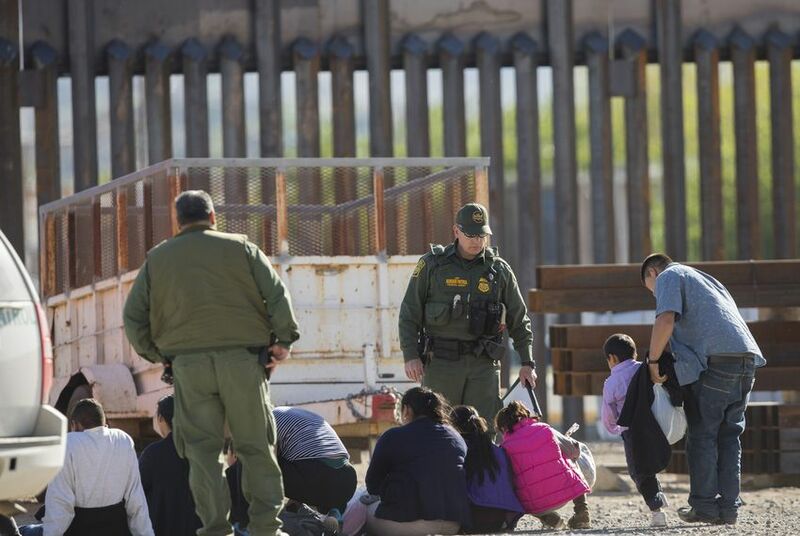 These migrants know they can seek asylum under federal law and be released into the country pending court hearings about their claims, The Washington Post reported earlier this month. In November, a federal judge blocked Trump’s asylum ban, which would have prevented asylum for migrants if they crossed into the United States illegally. And earlier this month, a judge shut down a proposed experimental policy known as Migrant Protection Protocols, which would have required migrants to stay in Mexico while awaiting their hearings. Last week, the 9th Circuit Court of Appeals sided with the administration, allowing it to temporarily resume its “wait-in-Mexico” policy.